THERE ARE IN THE WORLD JUST A FEW THINGS THAT ARE KNOWN WITHOUT QUESTION TO BE THE BEST OF THEIR KIND. 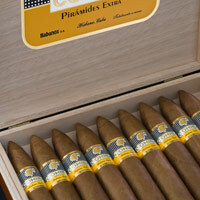 A HABANO – OR HAVANA CIGAR – IS ONE OF THEM. In Cuba in 1492 the Spanish expedition commanded by Christopher Columbus saw tobacco for the first time. 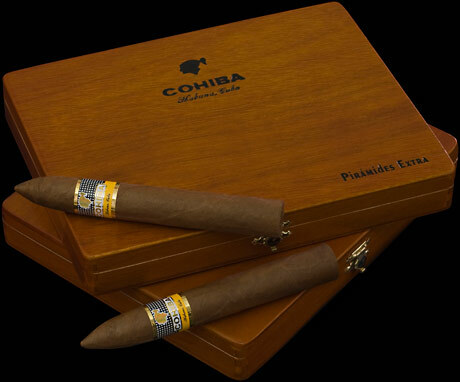 The Taino Indians rolled and burned mysterious leaves, which they called “Cohiba”. From that starting point more than five centuries ago, tobacco has been traded and planted throughout the world. Since its discovery, “Cuban Black Tobacco” has been considered the best in the world because of the unique growing conditions in some areas of the Island. The heart of the distinction is the tobacco and its taste born of a combination of four factors that exist only in Cuba: the soil, the climate, the varieties of Cuban black tobacco seed and the know-how of the tobacco growers and cigar makers. Other places may have acquired some Cuban skills, even some Cuban seeds, but never the natural gifts of the Cuban soil and the Cuban climate. These you will find nowhere else. Nor will you find anything that matches the centuries-old culture of cultivating Cuban tobacco: the extraordinary labour that the tobacco farmer invests in his crop; the months and years of patient waiting before his leaf is deemed fit for a Habano. All Habanos are crafted Totalmente a Mano – totally by hand – using methods that were pioneered in Havana two centuries ago and remain virtually unchanged to this day. More than 500 manual operations are done, including both agricultural and factory tasks, since the seeds are planted until the Habanos are put inside their boxes. Every cigar must pass through the most stringent quality control processes established by the Regulatory Council for the Protected Denomination of Origin (D.O.P.) 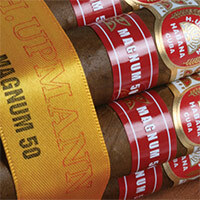 Habanos before they can earn the precious title of Habano – a benchmark for excellence.